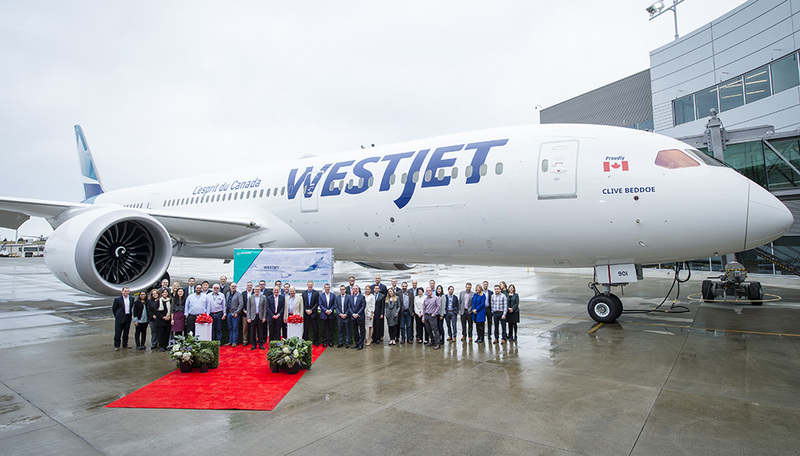 WestJet’s first Boeing 787-9 Dreamliner, named in honor of the airline’s chairman and founder, Clive Beddoe, is now on its way to WestJet’s hometown of Calgary today, marking a new global era for the Canadian airline. 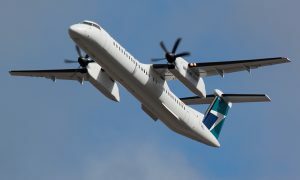 The first Dreamliner will fly guests domestically on Toronto/Calgary routes starting February 20 to assist with crew familiarisation before the first international service from Calgary to London Gatwick on April 28. 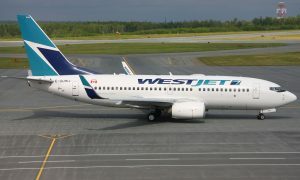 The second and third WestJet Dreamliners are currently on the production line at Boeing’s factory and will be delivered in February and March this year to coincide with the start of Calgary-Paris and Calgary-Dublin services respectively.